There are lots of formerly trendy foods that have failed to maintain their cult status. Green goddess dressing isn’t one of them. There are lots of formerly trendy foods that have failed to maintain their cult status. Green goddess dressing isn’t one of them. First made in the 1920s at the Palace Hotel in San Francisco as a tribute to an actor starring in a play called “The Green Goddess,” the tangy dressing made with mayonnaise, sour cream, herbs, anchovies and lemon remains popular to this day. But it’s not just great for salads. It’s also delicious as a dip, mixed into burgers or spread on sandwiches. Here, seven incredible ways to get a little more green goddess in your life. This healthy chicken salad is perfect for lunch or a light summer dinner. F&W’s Justin Chapple mixes Green Goddess-inspired ingredients like anchovy, scallions and lots of fresh herbs into turkey burgers for great flavor. 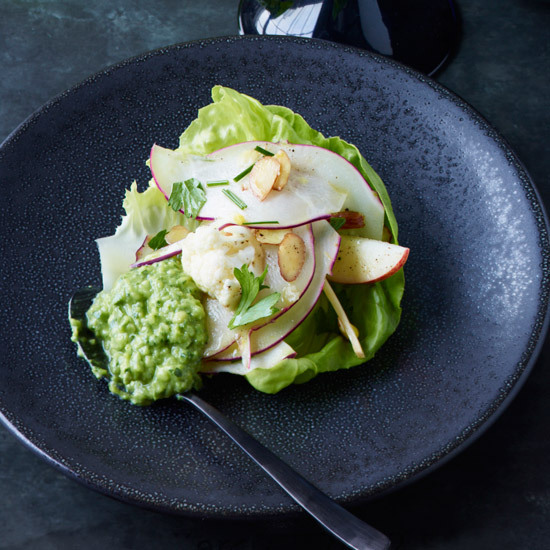 This elegant crudité dish is the perfect start to a luxe dinner party. The lightly dressed raw vegetables are served in Bibb lettuce cups with fresh, herby green goddess dressing for dipping. Fast and easy, this platter of grilled vegetables is the perfect summer party snack. With tarragon, dill, capers and lemon, green goddess dressing is the perfect accompaniment to moist salmon burgers. This quick salad is made with a rotisserie chicken, so all you have to do is chop and toss. This healthy, crunchy salad is good enough to eat every day.